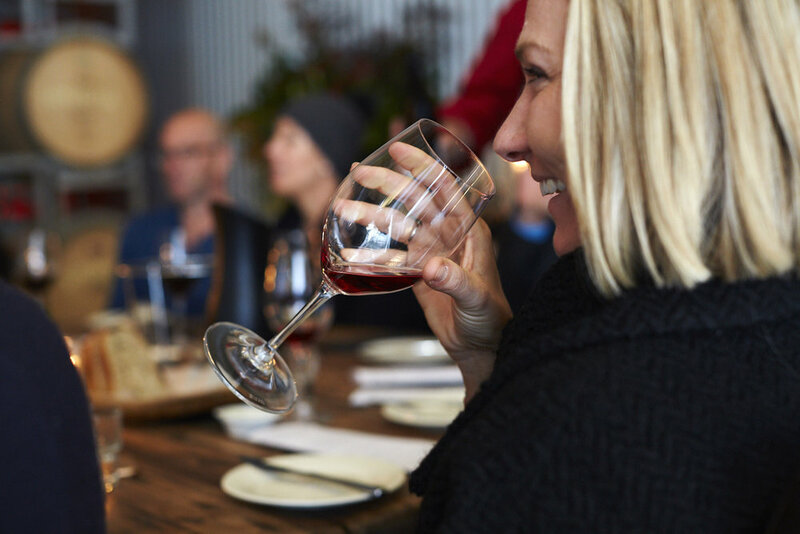 Join us for a series of set, seasonal luncheons from our food partners, Vineyard Seafood with menus featuring local producers from the Tamar Valley and beyond. 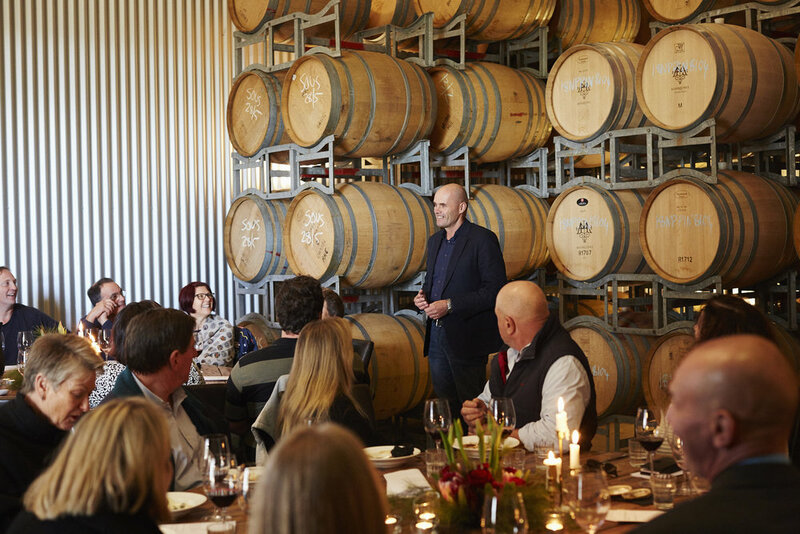 An opportunity to meet, chat and dine with Moore’s Hill winemaker, Julian Allport, and featured farmers and fishermen from Tasmania’s Northern region. 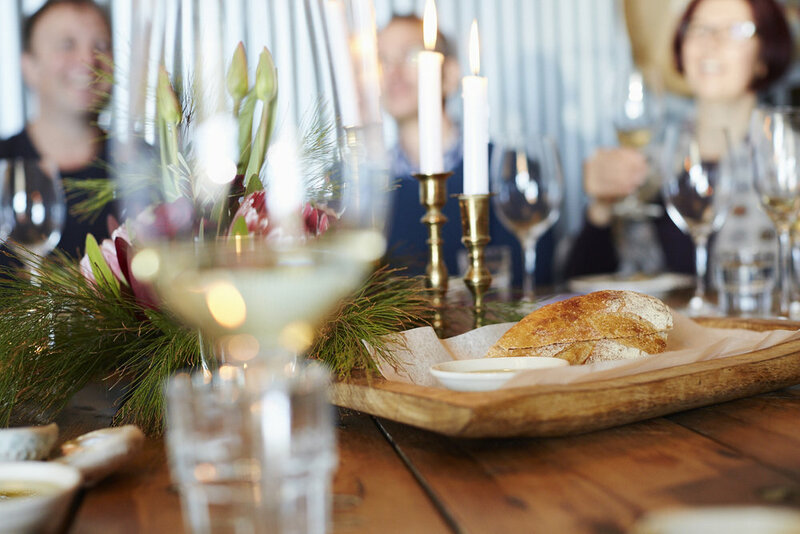 Gather around shared, intimate tables in our snug barrel room for a delicious lunch matched with Moores Hill wines. An invigorating Winter food & wine experience! Served with matched Moores Hill wines. Set price includes 4 course menu at shared round tables. Matched wines are included in the price. Non alcoholic drinks can be substituted in place of wines on request. Additional wine can be purchased during lunch. Due to the nature of the events, we are unable to cater for allergies and dietary restrictions.